Montreal city council unanimously approved a motion Monday to ask the federal government to enforce a nationwide ban on handguns and assault rifles. At a council meeting, the municipal government tabled a motion asking Ottawa to strengthen Bill C-71, a piece of gun control legislation currently being considered. They are asking for tighter restrictions on who can own a gun and are calling for an outright ban on handguns and military-style assault rifles. “Right now, it is legal to possess handguns and assault rifles that can do enormous harm to members of the public and we’ve seen far too many instances in which innocent people have been killed,” Montreal city councillor Alex Norris told CTV News Channel. Bill C-71, currently going through the House of Commons, works to strengthen background checks for gun licences, works to improve record-keeping requirements for gun sales and requires someone buying a gun to present their licence before completing a transaction. A number of fairly recent mass shootings in Canada involve legally-obtained firearms and suspects with valid licences to obtain them. Matthew Vincent Raymond, the suspect in a Fredericton, N.B. shooting on Aug. 10, had a valid gun licence and allegedly used a legally-obtainable firearm to kill four people, including two police officers. Alexandre Bissonnette, who shot and killed six worshippers at a Quebec City mosque in January 2017, also had a legal firearms licence. However, it appears an illegal gun was used to kill two people and injure another 13 during a mass shooting in Toronto’s Greektown neighbourhood back in July. 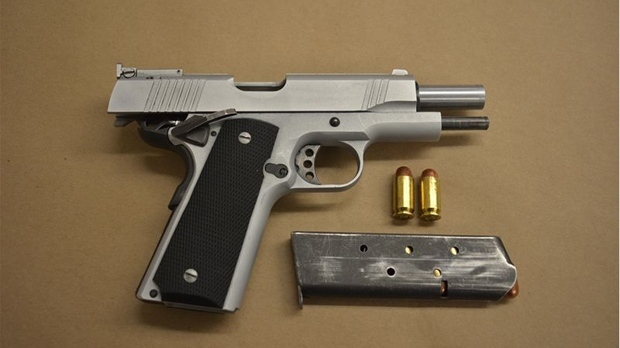 Gun violence has been a growing issue in Toronto, where councillors have already voted to request that the provincial and federal governments ban the sale of handguns and ammunition within city limits. Mayor John Tory has voiced his support for the motion. Prime Minister Justin Trudeau, when asked about Montreal’s gun control motion on Monday, said he’s “pleased” with C-71 under its current form, but added that legislators are looking at possible additions to the bill. Critics of C-71 argue the background checks, while longer, require a gun licence applicant to be forthcoming about mental illnesses and does not require doctors to present an assessment of an applicant. 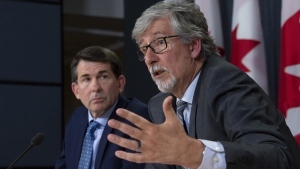 “Right now, we’ve seen far too many instances in which individuals who are clearly showing suicidal tendencies or violent tendencies who end up legally acquiring firearms,” said Norris, who is also the chair of Montreal’s Public Security Commission. Meanwhile, gun rights activists argue the bill will unnecessarily limit sales at gun shows and prevent firearms owners from travelling with their guns unless they file additional paperwork.